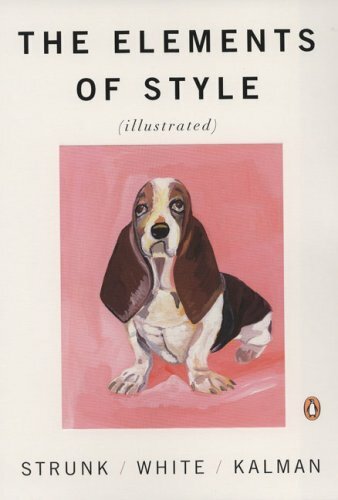 I just finished reading the classic Elements of Style by William Strunk Jr. and E.B. White. Though it's been around forever, this was the first time I had ever read it, and I loved it. Oh, one thing I should mention, The Elements of Style is a grammar book. Didn't know I was that much of a nerd, huh? It's a super-small book that you can read in a day, read a few pages at a time over the winter break, or keep with you as a reference when you're writing a paper. It will help you feel more confident in your writing. It will help you correct unconscious mistakes you've probably been making forever. 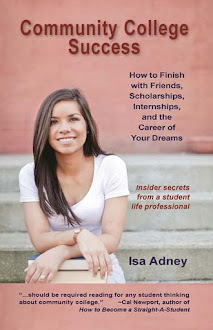 It will help you get better grades in your essay-based courses. It will give you writing super powers. During my freshman year of college I had a professor sit down with me in his office, pull up my rough draft of my very first college research paper on his computer, and correct it with me, line by line. This book kind of felt like that conversation. And while it's not always fun, you always come out vastly improved. I know many college students dread writing. But once you get the hang of it and know the rules, you might find you actually enjoy being able to get your thoughts clearly out on paper. There is something wonderful about looking at a few of your typed pages and knowing that you've put your ideas out there for someone else to grasp. I find writing pretty magical; the words still fall like fairy dust every time I open a new book.